The second in a two-part series discovering Southland, New Zealand’s rugged and wild southern coast. I was woken in the early morning darkness by boulders of hail noisily hammering the metal roof overhead. The clock read 7am; outside the sea seemed malevolent, the foamy waves only just visible in the predawn light. My hope of seeing yellow-eyed penguins and rare Hector’s dolphins had been dashed by the turbulent weather. 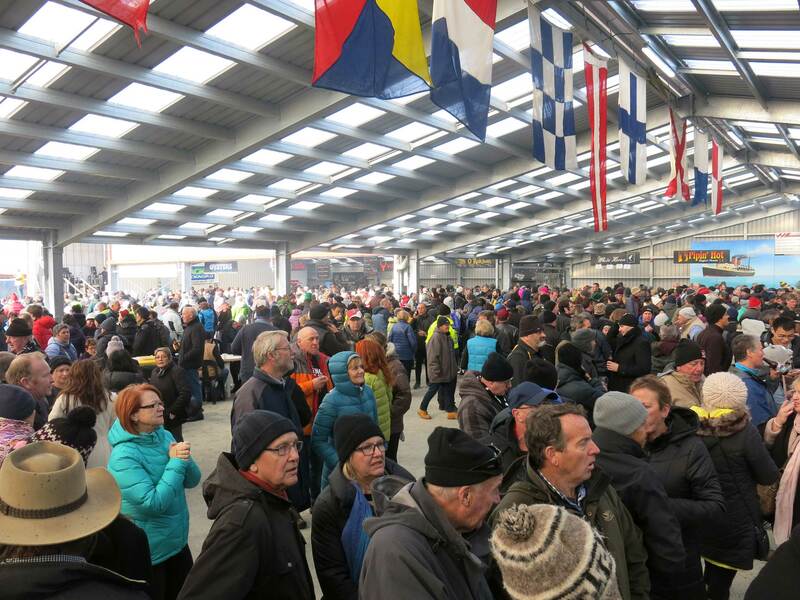 Donning thermals and woollens I thought of how, just an hour’s drive from the dark shores of Porpoise Bay, seafood vendors and old sea dogs were preparing for the biggest day in Southland’s culinary calendar: the Bluff Oyster and Food Festival. 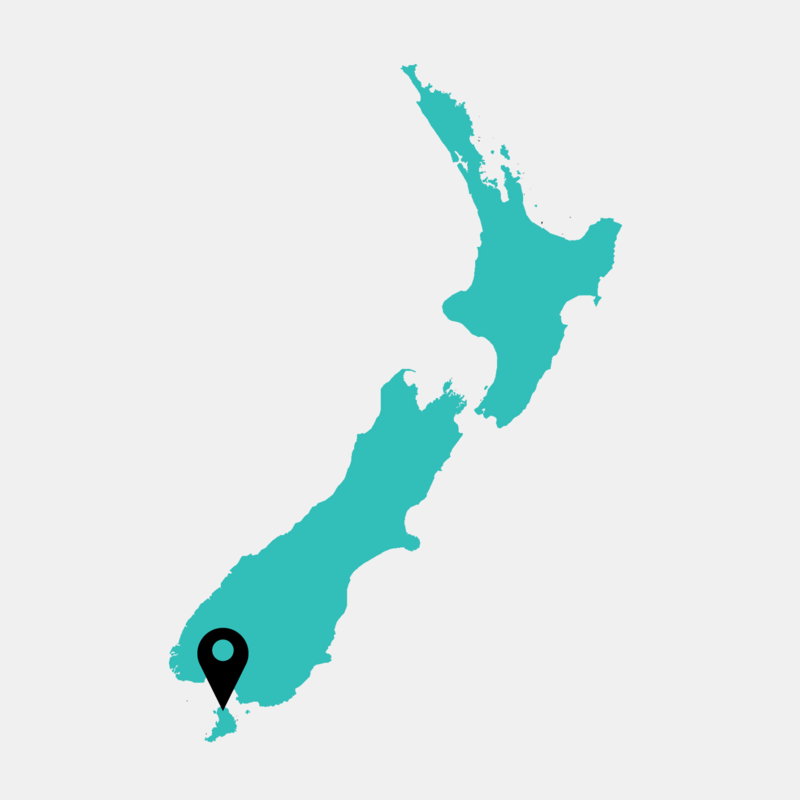 It was day four of a five-day driving tour of Southland that I was making with my husband. As a pair of unapologetic bon vivants, we were excited at the prospect of being in Bluff to taste the tiny town’s internationally renowned oysters, right at source. It was the reason we had travelled some 1800 kilometres south from the warm shores of Auckland to the Antarctic winds of New Zealand’s most southerly region. 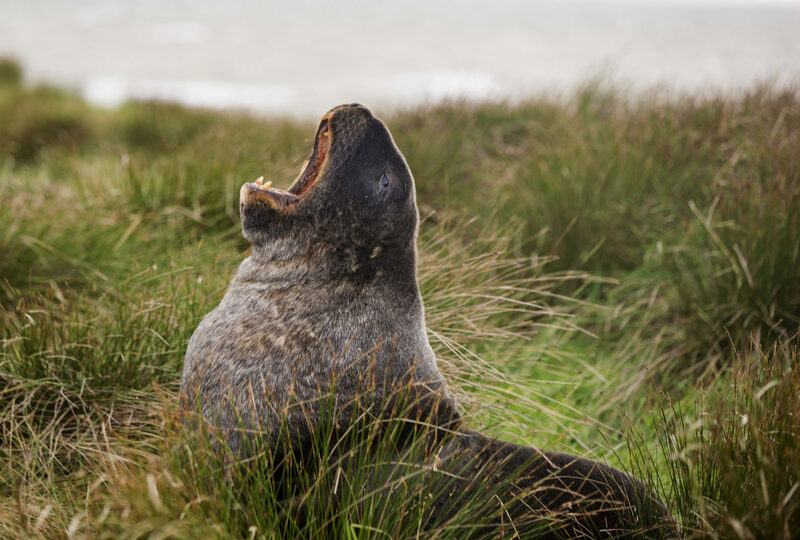 We had woken at Curio Bay, an area of The Catlins that fell about a kilometre short of being New Zealand’s most southerly point. From there, en route to Bluff, I wanted to stop at the lighthouse at Waipapa Point to pay respects to the lives of the people who had fallen victim to its volatile waters. 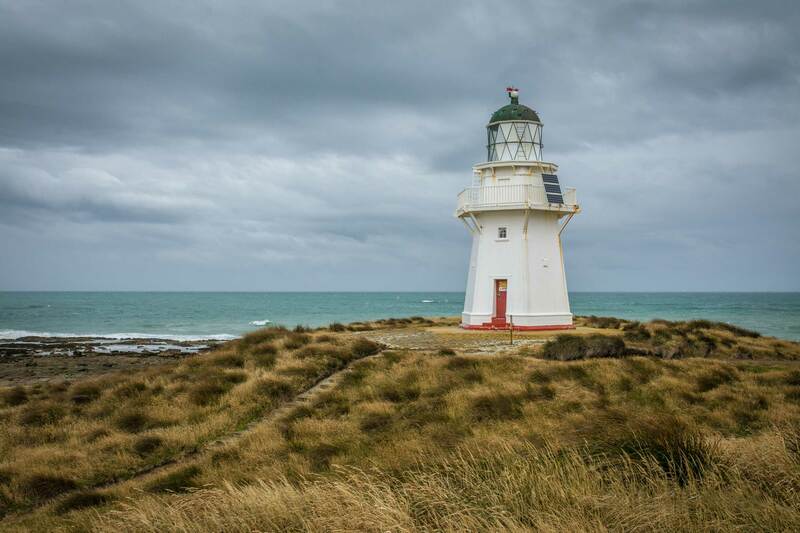 Built in 1884, the Waipapa Point lighthouse was constructed following the sinking of the SS Tararua in 1881 where 131 people, mostly civilians, lost their lives after their ship was smashed to pieces by a heavy swell. I battled powerful, 100-kilometre gusts to climb the oversized steps towards the lighthouse, a magnificent sentinel standing tall against the stormy seas that swirled below. I took a quiet moment to absorb the ferocious beauty of such a tempestuous part of the country. Passing by undulating hills and small villages, we soon arrived at Invercargill where, to my surprise, the town passed as quickly as it had arrived. As the road narrowed to a single lane with the Foveaux Strait to the right, we knew we had arrived, finally, in Bluff. Over this tiny, windblown settlement loomed Bluff Hill, which gave Bluff’s 1800 residents shelter from the glacial winds that regularly gusted through the town. As well as being the home of the eponymous oyster, Bluff hosts the country’s only aluminium smelter, an impressive sight of chimneys and reflective roofs, the hallmarks of an earlier industrial era. The Bluff Oyster and Food Festival is an annual occasion where locals and visitors revel in the underwater bounty that the Foveaux Strait provides. On arrival, we found the bar tent crammed with people clutching glasses of warming pinot noir, a sea of neon ski jackets, woolly hats emblazoned with local business names, and several impressive beards. I quickly queued to sample the local delicacies of blue cod, mutton bird stew and freshly shucked oysters while local bands played deafening covers of seventies rock hits. The atmosphere was festive and energetic, and as I looked around I felt lucky to be experiencing a very different kind of New Zealand. It had certainly lived up to expectation. 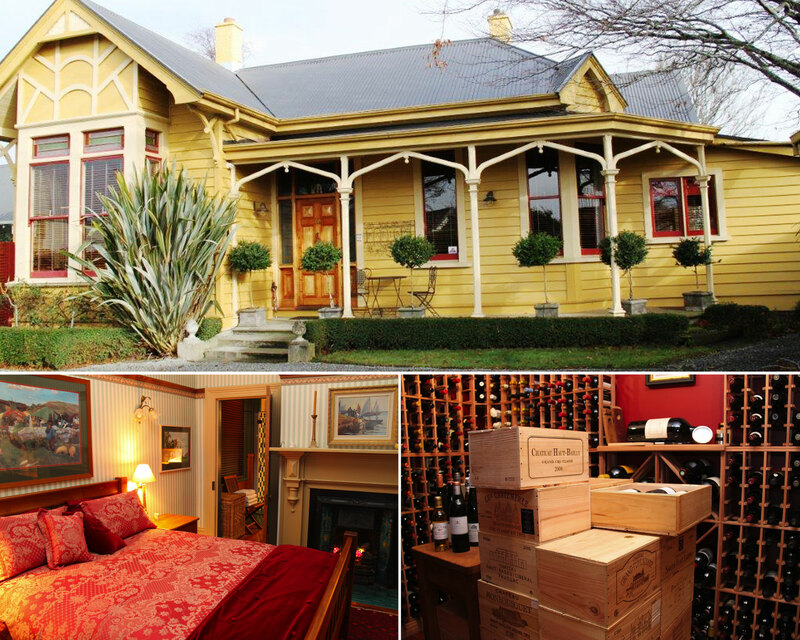 Fingers and toes frozen, and in need of some warmth, we made our way to our accommodation back in Invercargill. Built around 1910, Villa Rouge had been restored to its former turn-of-the-century glory by the affable Diana and Noel Bonisch. It was fully insulated, functional and modern, with tasteful nods to the previous century in terms of decor. I realised that Noel was an unabashed Francophile, evidenced by the European-style artworks that adorned each wall and the fact that his wine cellar paid singular homage to the classic French red, Bordeaux. The heavy drapes, gold light switches and forest green accents of colour created the feeling of stepping into a regal homestead. I left the warmth of Villa Rouge to enjoy dinner at The Grille, the cafe of Bill Richardson Transport World, Invercargill’s most well-established attraction. The museum was created by Bill Richardson, an avid collector of trucks, whose collection now included Motorcycle Mecca, an impressive accumulation of classic motorcycles dating from 1902. Although initially hesitant to dine in a museum cafe, I loved the quirky retro atmosphere — a display of cameras dating from 1950 to 2010 faced me as I dined — and deliciously fresh food. A simple cauliflower soup with beetroot crisps was the perfect antidote to my earlier overindulgence in seafood. The following morning we were catching an early morning flight to Stewart Island but had just enough time for one of Noel’s barista coffees and freshly squeezed orange juices, and to sample Diana’s heritage rhubarb and homemade bread. A magnificent way to start a day’s travelling. 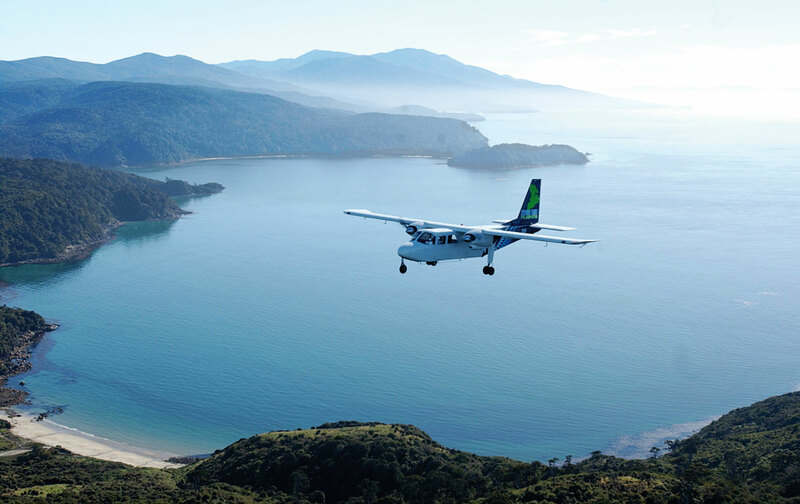 Flying over Stewart Island was the only way to appreciate its size. At 1570 square kilometres, one could pick up the entire city of Auckland, deposit it on Stewart Island, and still have 500 square kilometres to spare. 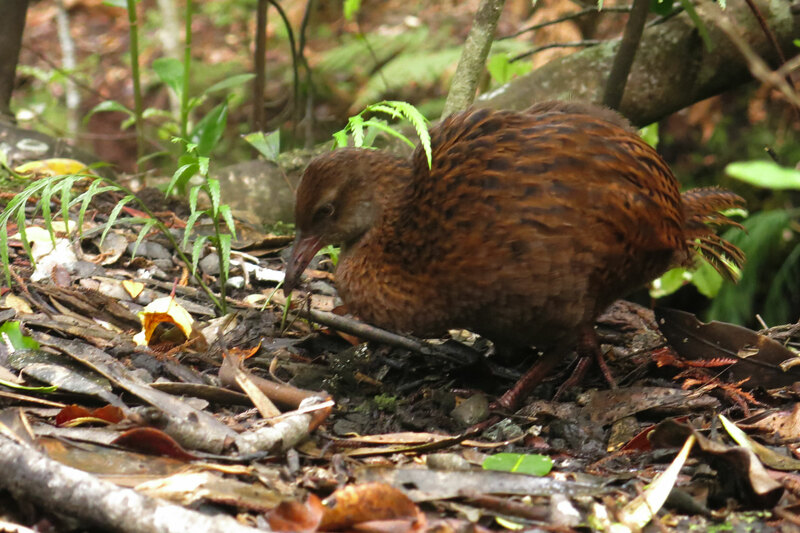 This island, New Zealand’s third largest, is 85 per cent national park, and home to just 400 residents. First stop was Ulva Island, a forested island that is closely protected as a wildlife reserve, and home to around 130 species of birds. Short, clearly marked trails guided us through dense woodland, where wekas poked around hopefully in piles of crisp brown leaves and a single sea lion rested on the sandy shores of Sydney Beach, lazily watching a pair of oystercatchers hop past. It was through a one-hour boat ride with Chris from Rakiura Charters that I really learned about the island. Having worked for more than a decade in the mussel farms around Stewart Island, Chris was an expert in marine agriculture. Following his watchful eye, I was delighted to spot a yellow-eyed penguin diving beneath the water of Paterson Inlet and watch seals engaged in mock-battle on the sandy spit of land known as The Neck. 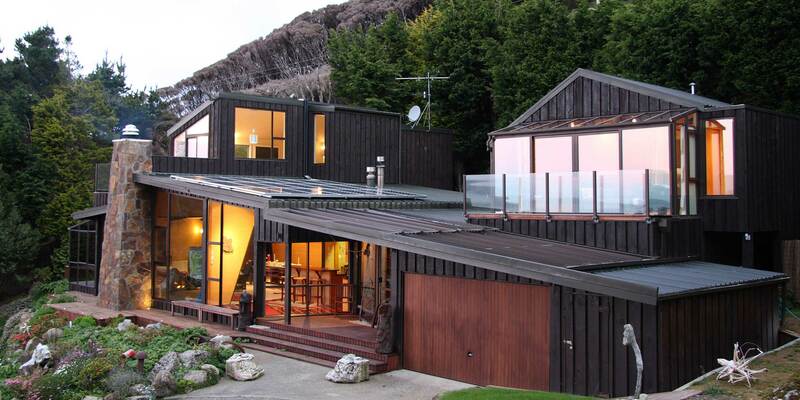 Built in 2010, his self-sustaining, architecturally designed house generates power through solar panelling and a wind turbine. Manfred welcomes people into his unique home — overseas students, volunteers, tourists — and shows them his island as he sees it. He was a natural host, and during the short period I spent in his company I learned what it meant to be part of such a remote and tight-knit community. Leaving Stewart Island — indeed, leaving Southland — felt like saying farewell to a secret part of New Zealand. To a region shaped by its proud and hard-working residents, and coloured by the sojourns of gold prospectors, European settlers and whisky-making Scots. At the southern point of the compass lies a very different kind of New Zealand, one that waits for those adventurous enough to go and visit.